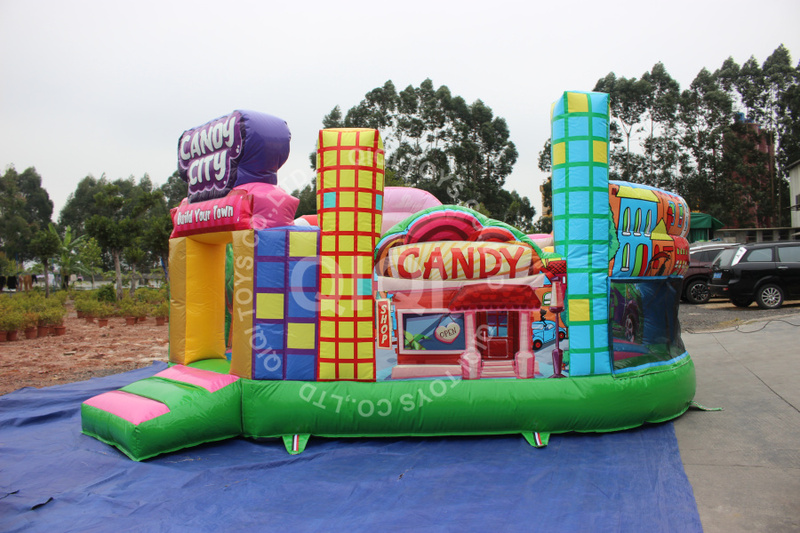 The bouncer is very cute, with pillars in the jumping area where children can climb, jump around and play. 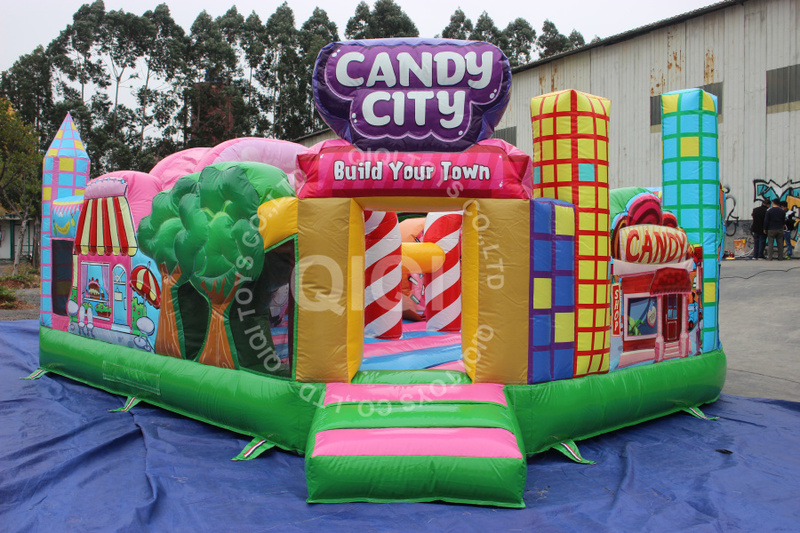 This inflatable bouncer has candy city of banner at the entrance. 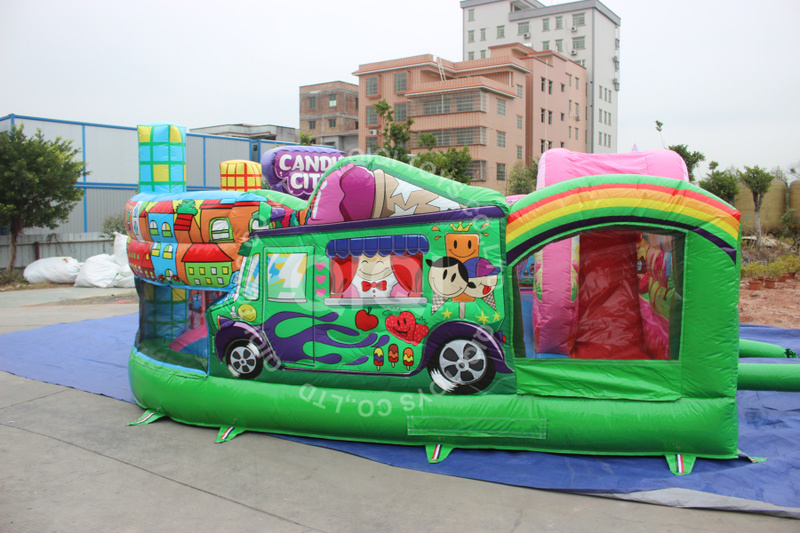 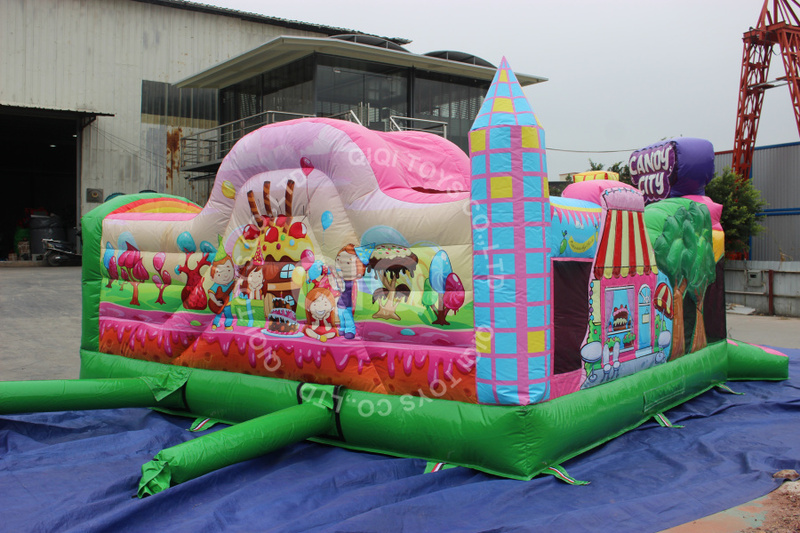 Moreover, our inflatables playground is suitable for both young and older children and it’s very entertaining.